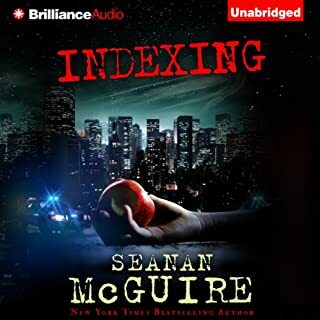 ©2017 Seanan McGuire (P)2017 Audible, Inc.
As always, an outstanding book from one of my favorite authors. This one is heavy with character development for Amandine and Simon. The more I learn about Amandine, the more violence I want to do to her. It was bad enough in the earlier books when she was presented as a neglectful mother, who blamed October for the loss of her human husband and didn't bat an eye when October ran away to live on the streets with other Changelings. But in this book Amandine is even more emotionally abusive, cruel and capricious. 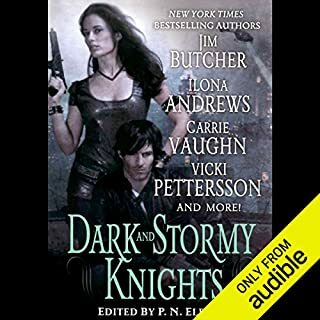 Simon on the other hand, who was originally presented as a basic ''bad guy'' who we didn't have a lot of info on, is really fleshed out in this book. We learned a few books ago that he was trying to ''save'' October by turning her into a fish but I really got to like Simon in this book and felt sorry for him at times. The Road to Hell and all that. The ending made me tear up and I hope Simon is able to complete his redemption by the end of this series. We also get to see Pixies, and that a good turn is never forgotten. I still love Mary Robinette Kowal as a narrator, her accents are the reason why I listen instead of read this series! Rehash of past adventures to ultimately add one new character, change an old character back into a villain and mostly to allow an author to present a rather uninteresting story. Skip this book while hoping for a better story next time. The series keeps getting better. Ms McGuire’s skill as a master storyteller grows each time. I cannot imagine anyone else voicing the character but Ms. Kowel. 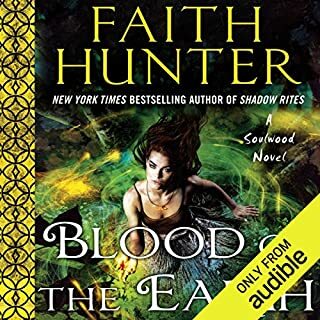 The whole series is a must read for all urban fantasy fans! Each October Daye adventure is better than the one before. I always look forward to the new books, and I reread and relisten to them frequently. 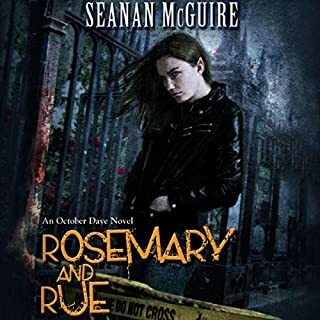 Many series become more formula and less originality, but Seanan McGuire does a great job of keeping the stories fresh and interesting, and always leaves me looking forward to the next book. Robinette Kowal does an excellent job with the narration and performance of the characters and the tone of the stories. 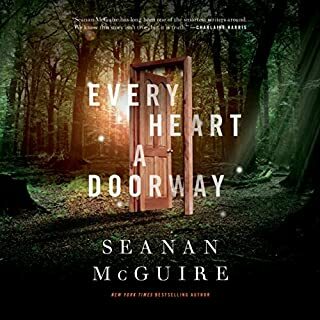 The October Daye series and Mary Robinette Kowal as a narrator are a perfect match, and this episode (Book 11) is no exception. It is pretty important that these books are read in order -- the characters, story line, and entire world of this character are developed over time and have a central plot. Some books move the plot forward (books like Winter Long) and some are just "the adventures of October" and are not central to the plot. 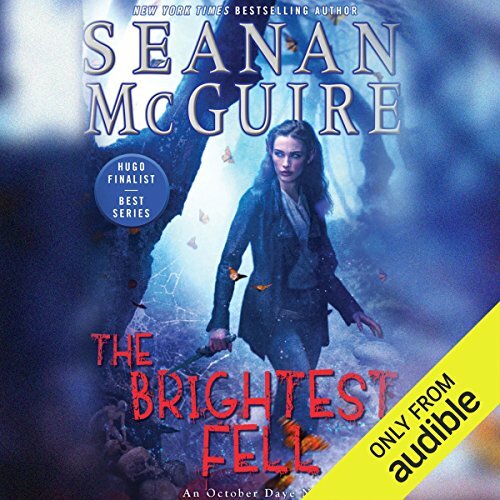 This book, The Brightest Fell, the plot continues with the planned marriage of two main characters, and old nemeses come back to liven things up. It is told with McGuire's flair for drama and Kowal's ability to bring the world to life. The missing star on story is not to dissuade anyone from reading, but only to mark that this isn't the strongest book in the series. tempo and pronunciation are perfect. Too many younger narrators butcher the language and ruin an otherwise good performance, but Mary is obviously intelligent and well-read. 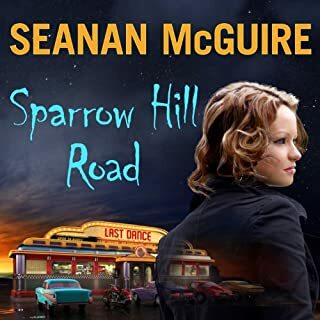 A lost road, a candle and Deep Fairie, new characters and old ones. Magic and blood. As always, wonderful story telling! Characters are amazing and the plot is a labarynth which makes one feel as though on a journey with the characters. Love Toby’s development. Hope she stays away from the self centered monster who is her maternal parental unit. Grateful to have Tybalt back. Simon is now set to cause more damage. Look forward to the next book. i have liked previous books better than this. the only bright spot is the obvious fforshadowing where toby goes off to save oberon and his wives. that, apparrently, is the nexft book.